As of yesterday (October 21, 2015), Apple officially released iOS 9.1, and with it 150 new emoji (emojis? emojii?). These aren’t just your normal new emoji characters, though. This update includes a middle finger emoji along with a cheese wedge, a burrito, a champagne bottle, a unicorn, different faces, and many more. Not only that, but you can change the skin color of the middle finger emoji (along with some of the other hand emojis), so now you can give anyone you’d like the middle finger no matter what color skin you have. People are rushing to update their Apple devices to iOS 9.1 to get the new sought-after emoji set. It's always a smart idea to have the latest version on your devices anyway to protect your phone from any security flaws and to make sure everything is up-to-date, so what are you waiting for? Grab iOS 9.1 today! If you haven't been prompted yet on your Apple device, head to Settings -> General -> Software Update and iOS 9.1 should be patiently waiting for you to hit "Update". Live Photos now senses when you raise or lower your iPhone so that Live Photos doesn't record these movements. Improved performance while in Multitasking UI. 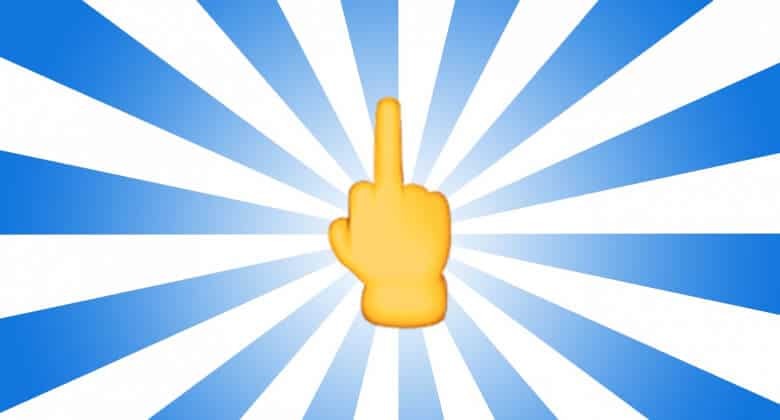 So what is your reaction to the new iOS 9.1 update, specifically the rude finger emoji? Are you saying "YES, finally!" or are you on the other side of things? Regardless, the emoji is out there for your pleasure (or displeasure). The emoji has been taken to a whole new level, people.